For my project, I decided to do a little recycling and reusing to create this fun and functional bank!! 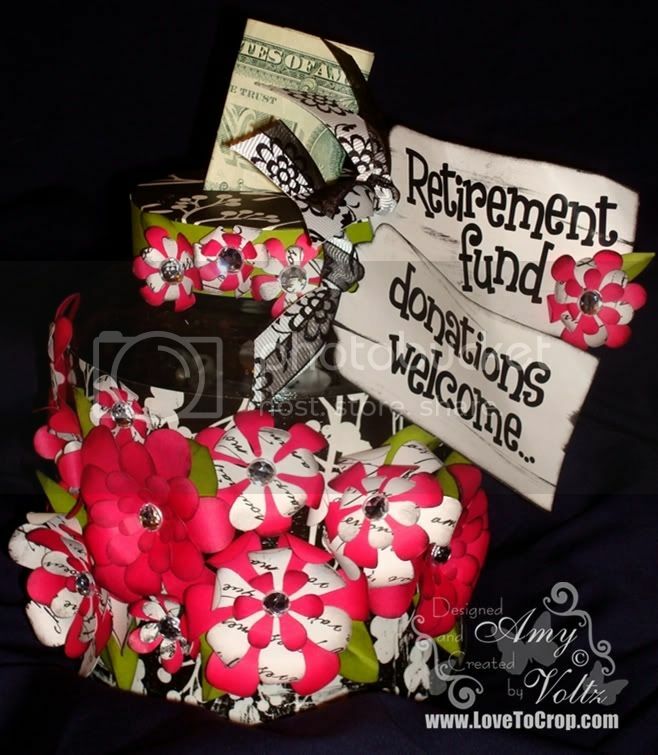 I thought it would make the PERFECT addition for a Retirement Party too -- Especially with a little tag reminding guests to donate (that's also why I'm also featuring it over at Decorate To Celebrate -- a challenge blog all about Party Decorations and Supplies!!). :) The-Girl-Child likes her pickles in BULK, so this jar is rather large, but I liked the smaller opening (made it tough to pull the pickles out easily, but it's perfect reconditioned as a bank!!). As always, your comments and questions are welcomed and appreciated... I'd love for you to join this week's challenge at Celebrate The Occasion... So hop on over there and enter YOUR project (plus you get a chance to win an AWESOME Cricut Cartridge!!). Love the idea, super cute and very creative!TFS! Wow Amy !!! You did a super job those flowers are incredible Thanks for sharing. Amy, how funny is this. Retirement donations. It goes perfect with what I said in my blog. This donation jar is just amazing. I love the colors etc. What an awesome project, love it! Those flowers are beautiful, Great job! You go girl, YOU ROCKED this challenge!! Who would have thought a pickle jar..lol. I am right there with ya on the stickers...mine are packed away... Love your project! Sooo Cute! What a fun idea! Adorable! You always come up with such great ideas. THis is so cute and funny! Great job! 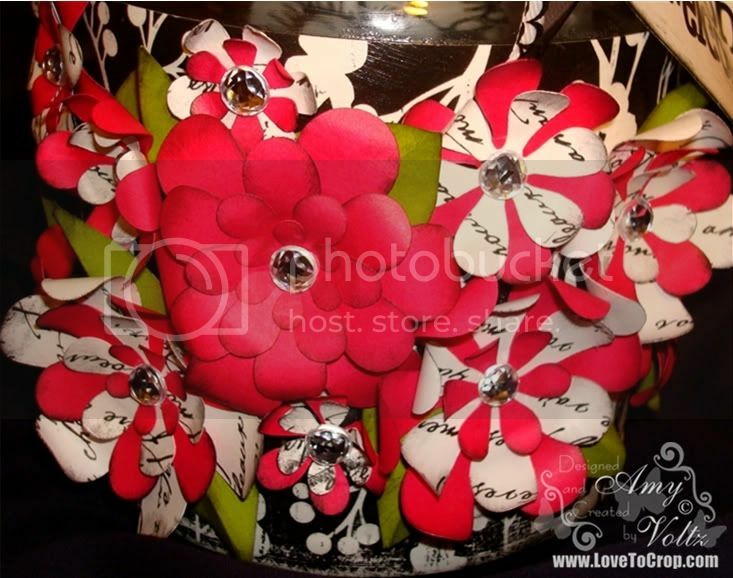 the colors, the idea.. waooo Amy..
wowo that is too cute..love it.. nice idea...man i need to start crafting and using my cricut! That is too stinkin cute! I have to hurry and make one in preparation for my retirement! Great creativity! Your Wild & Wonderful Friend! This is just too cute! Love all the flowers! Thanks for the "heads up" this morning I would have missed the post if you hadn't told me about it. Love your bank. Don't know if I like all the pretty flowers or the "donations welcome" the best. I don't remember if I've told you or not but I love the new look for your blog. This is so clever! I love this project, and you did a fantastic job on it! I need one of these jars to sit at my desk at work LOL! 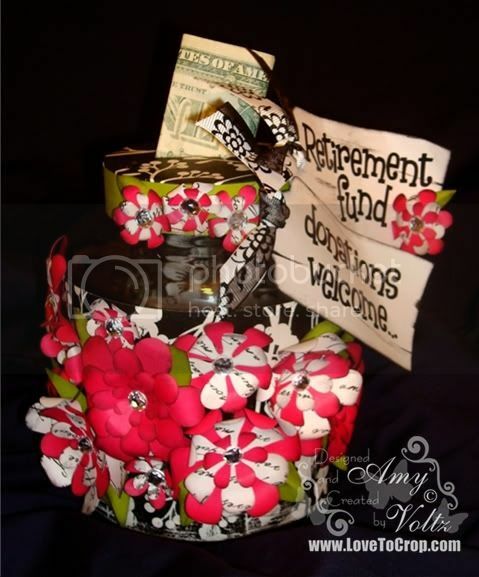 I love your "donation" to retirement box. I like this challenge and want to participate. I am just trying to think of a great idea for it. I will try to participate by the deadline at CTO. Your work is great....already a follower. Love it! Super cute and how fun! All I can say is WOW! 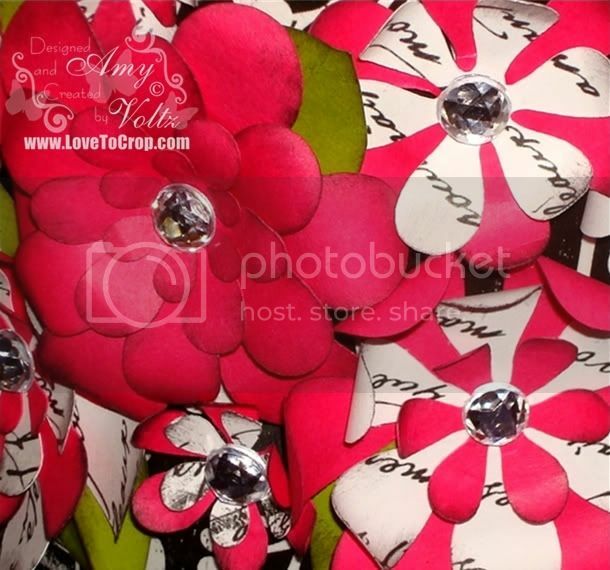 Amy, you are so creative! There are so many details that I don't even know where to start! I love it! Great job this week and I love your new blog design! SO cute! This is just soooo fun and creative! Thanks for sharing!